Camping chairs are very versatile pieces of outdoor furniture. Today, we will be looking at some of the best camping chairs which you can find for sale. Since every camper has different needs, we have decided to review five different models, all of which feature various aspects in which they excel. 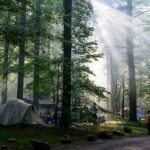 Before we get to the actual reviews, however, we will be taking a look at a few things you should consider before you make your camping chair purchase. We will also look at some of the more crucial aspects to account for when buying your new camping chair. 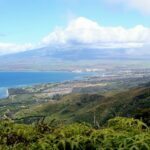 These sections will help you narrow down the number of camping chairs which will work best for you. Of course, if you feel like skipping through these sections since you already know exactly what you need, feel free to head right to our reviews. The right kind of camping chairs for your outdoor activity should be comfortable, durable and would be able to meet the needs of your activities. For What Purpose Will You Be Using Your Chair? 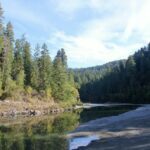 The primary consideration to make before you decide to go ahead and buy a camping chair is to think about what you are going to be using your camping chair for primarily. Camping chairs are very versatile products, so there is a wide variety of applications which you can use them for. There are even some camping chairs which come included with a certain application in mind. Of course, most camping chairs will be ideal to use while you are camping. Of the other applications, you may make use of a camping chair so you can sit down at the beach, at family picnics or while tailgating. How Much Storage Room Do You Have? The next consideration is the amount of storage space you have available in your house. If you lack storage room, you will probably want to invest in camping chairs which collapse so that you may store more of them in a limited area. Smaller camping chairs are also ideal for reducing the amount of storage space taken up. Most camping chairs will fold up to a certain extent, but some of them may fold into a shape which is inconvenient when it comes to saving storage space. You will usually want folding chairs that can be stacked on top of each other if you find yourself limited by the amount of storage space you have. Who Will Be Using The Chair? You will also want to consider who will be using the chair most often and try to cater to their needs. Since everyone is different, there is no best camping chair for every single individual. Some may be looking for the best camping chair for bad back, while others want the most comfortable camping chair. 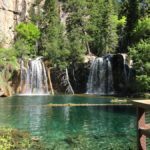 While it also helps to invest in camping chairs which are versatile, so they can be suitable for a wide variety of people, sometimes you may need the best camping chair to be a bit more specialized. The camping chairs that you buy should cater to the needs of the individuals using them. 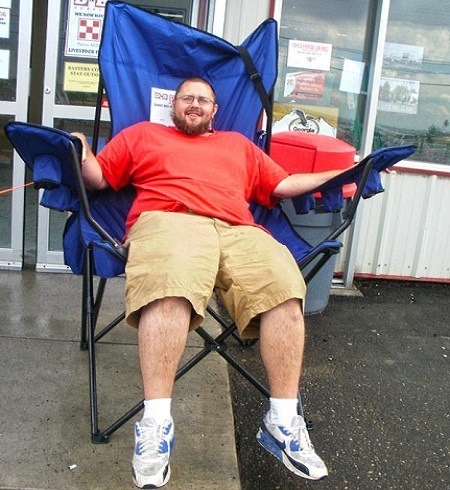 Before you buy your camping chair, it is also important to think about the weight of the intended user. 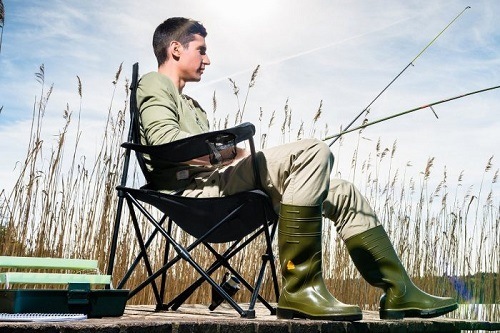 Since most camping chairs have a fixed weight limit, it is important to ensure that you don’t purchase a camping chair which will not collapse under the weight of the person who is sitting on it. A collapsing camping chair can present a danger to the individual who is seated, and it can also result in a waste money, as you will have to purchase a new chair afterward. 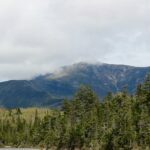 While the safety risk is, of course, the more important issue, it can get rather annoying to have to reorder a camping chair because the weight limit was exceeded. One of the more important aspects to search for in your new camping chair is a decent measure of build quality. This ensures that your camping chair is made to the best standards possible. You will be hard-pressed to find the best camping chair if you don’t look for a model which is built with care and attention to detail. 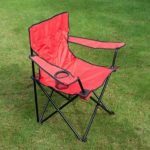 A camping chair which is lacking in build quality will quite simply not be worth your time since it will be prone to malfunctions and may even be liable to injure you if it fails at the wrong moment. At the very least, you will have to purchase a new chair, which is a waste of money and time. You will also want your camping chair to be reasonably lightweight. A camping chair which is overly heavy will be difficult to carry, which goes against the basic design philosophy of the best camping chairs. While the best camping lounge chair may be a bit heavier than other types of chairs, it should still be reasonably light. Most of the time, when you invest in a camping chair which is too heavy, you will end up leaving it at home in favor of lighter models. 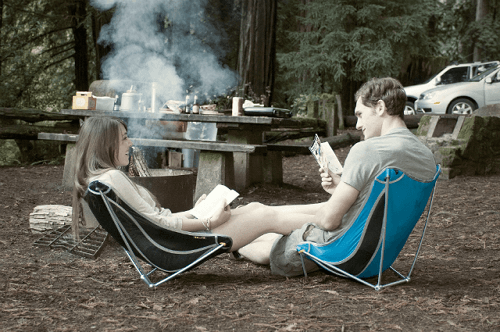 This is fine if you intend to use your camping chair as a stationary lawn chair, but most customers invest in camping chairs for a superior degree of portability. While the best heavy duty camping chair will be relatively heavy, it still should be light enough to be comfortable to carry to your campsite. On the other hand, the best lightweight camping chair may end up sacrificing certain unnecessary extras to reduce the weight even further. As we mentioned earlier, adequate storage space is critical, so your chair should fold up into a neat little package which is both easy to store and to stack on top of other chairs. Small folded dimensions do not only contribute to making your chairs easier to store, but also easier to transport. The best folding camping chair will manage to fold into a small package but will be larger than most when unfolded. You will be able to fit more camping chairs in the trunk of a smaller car if you purchase a model which features smaller folded dimensions than average. You should also account for the durability of the folding mechanism, as an inadequate locking method may result in your chair unexpectedly collapsing. 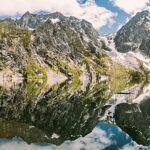 Height above ground is an important aspect for camping chairs, since you will often be sitting in the wilderness, and you will want to be high enough above mud and grass. The best camping chairs will often be tall enough to keep you clean, but will still fold into a small package. 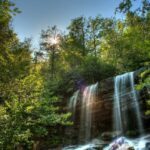 Regardless of the application for which you intend to use your camping chair, you will find that a good deal of height is almost always useful. 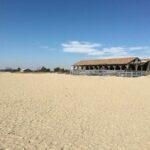 For example, a beach camping chair which keeps you out of the sand is better than one which keeps you low and lets sand get into all of your things. Another aspect of relative importance when it comes to the height of your chair is how tall the back of your seat is. 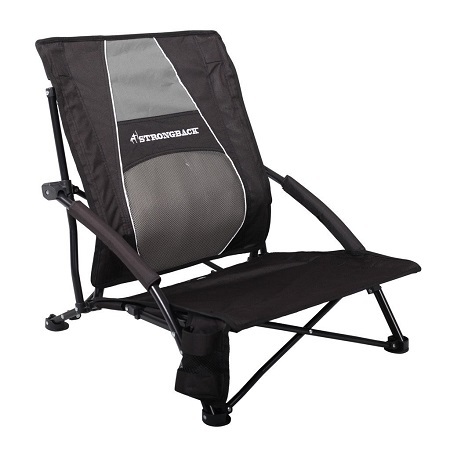 This significantly contributes to a more comfortable camping chair, since you will have more room to lean back. Some camping chairs do not feature any form of seat back, but this is usually the highly compact models. There are some disadvantages to a camping chair with a full-sized back, however. One of the main issues is that it will decrease portability. Models with a seat back are obviously larger and heavier than models which do not feature one, so you will probably have difficulty carrying them on your person. Many options can come included with your camping chair to ensure that you enough storage for miscellaneous objects. For example, a cupholder will usually be a worthwhile extra simply because you won’t have to leave your drink down in the dirt, which can get rather messy, especially when it rains. Another storage option is the inclusion of extra pockets, which ensures that your camping chair will have adequate room for any other objects that don’t fit in your cupholder. This provides a place where you can store items from your kit without having to keep them all bunched up in your pack. A camping chair with footrest will keep you much more comfortable out in the wilderness than other kinds of camping chairs. Many different types of camping chairs can feature footrests, as this feature is not limited to one particular camping chair subtype. For example, it is typical to find a reclining camping chair which features a footrest. You can also find a foldable camping chair with footrest, which ensures that your chair can be stored in smaller spaces as well as transported much more easily. Big Agnes is one of our favorite camping chair manufacturers, and with good reason. It seems that they put effort and care into the design of every one of their pieces of camping equipment, chair or otherwise. If you want the best camping chair regarding weight and portability, there are few better options than the Helinox. 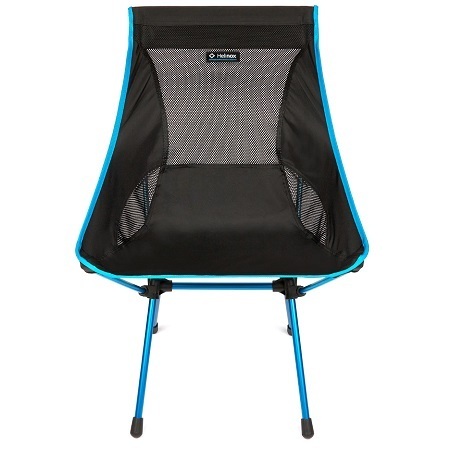 Unlike most other compact camping chairs, this one is built to highly resilient standards. 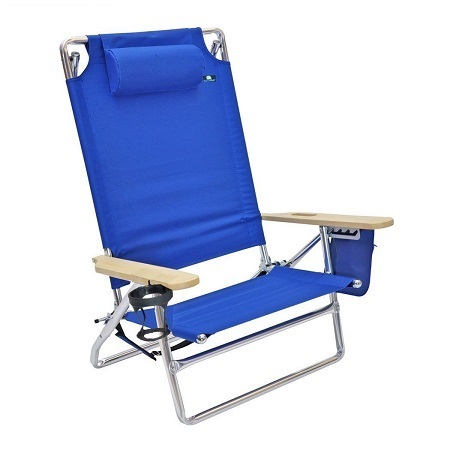 This is evident by its DAC aluminum frame and relatively high weight capacity of 320 pounds, which is more than many traditional camping chair models. In case you aren’t satisfied with the construction quality, this product also comes with a three-year manufacturer warranty in the event of malfunction. One of our favorite features of this lightweight camping chair is just how easy it is to set it up and tear it down. It practically opens itself up thanks to the use of shock cord technology in its construction. Since this chair’s construction is relatively straightforward, there are relatively few parts that can go wrong. Of course, another important feature of a lightweight camping chair is a small size when it is collapsed. When combined with the light weight, this makes for a chair which features a highly superior level of portability when compared to much of the competition. If you need the most portable chair around, there is no better choice than this model. If you want the best heavy duty camping chair around, there are few better options than this model from BeachMall. 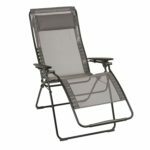 While it may be primarily marketed as a beach chair, you will find that it functions just as well when used on camping trips. In fact, we would recommend it above all other heavy duty models made specifically for camping. This chair is specifically designed for customers who are big and tall. The superior weight capacity makes it unlikely that this chair will fail you, regardless of circumstances. The inclusion of four different positions into which the chair can recline significantly increases the level of comfort that it offers. The hardwood armrests are treated to ensure proper weather and sun resistance, so you don’t have to worry about water infiltration or any other unfortunate damage. This chair also comes included with nearly 1.5 feet worth of ground clearance, so you can be high above the dirt or sand when sitting. There is also an abundance of storage space on this model of camping chair, which is to be expected when you consider the relatively large size. It comes included with two zipper pockets, one in between your legs and one on the left armrest. There is also one large storage pocket on the back of the seat itself. If you are looking for a camping lounge chair that features a good degree of comfort as well as high-quality materials used in its construction, there are few better options than this model. It features a zero gravity design which ensures that there is minimal strain on your body while sitting down. This zero gravity design philosophy makes it ideally suited for campers who have existing injuries, or for those who only want something which is a little more comfortable than a typical chair. This is not the only reason this chair is superior regarding comfort; it can also recline in a variety of positions. The inclusion of a two-year manufacturer warranty is always appreciated, as it demonstrates Lafuma’s faith in the quality of their product’s construction. The maximum weight capacity is just over 300 pounds, which is rather standard for camping chair models not built to heavy-duty specs. Comfort is the primary consideration for this style of camping chair, however, and the inclusion of a pillow on the headrest is the cherry on top of the zero gravity design. If you are looking for one of the most comfortable camping chairs out there, you have few better options than this model. 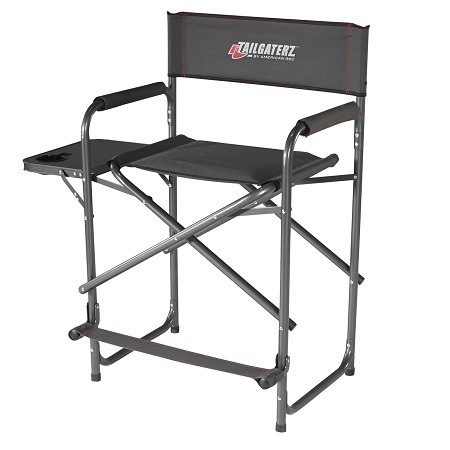 If you are looking for the perfect folding chair for tailgating, you will find few better options than this model from the aptly named Tailgaterz. The seat is in the style of a director’s chair, so it features a relatively high seat height, keeping far above the ground and away from the mud and dirt. This chair is two seats in one, as the removable chair can be used as a stool, which makes it ideally suited for sporting events so that this chair is useful for more than just tailgating. The 350-pound weight capacity is slightly more than that of other chairs at a similar price point. The folding footrest stays well out of the way when it is not in use, which makes it easier for you to position your feet when sitting regularly. This feature helps immensely for taller users since the back of their legs may end up brushing up against the front of the footrest. When combined with the taller chair height, this chair becomes ideal for users who are above six feet tall. The reinforced legs ensure that this chair is one of the more sturdy models you will come across. If you have had issues with chairs breaking on you in the past, there are few better options available than this particular chair. While its construction is rather resilient, you will find that this chair is relatively light, weighing only about 12 pounds. This seat prioritizes proper back support above all else, as you would expect from the best camping chair for a bad back. Unlike other camping chairs with extra lumbar support, this model is quite easy to unpack, unfold and set up. It even comes with a purpose-built carrying case in the form of a backpack. The 300-pound weight capacity is rather standard, but it managed to withstand even 325-pound users in tests, so the chair is a little stronger than advertised. The specialized design ensures that your hips will stay aligned with your back, this improves both comfort and posture while you sit, something sorely lacking in other camping chairs. While the seat folds up into a relatively small package, keep in mind that it is long, at about 30 inches. Since the carrying case is so conveniently designed, this is not as much of an issue when it comes to transporting your chair. Some camping chairs which come included with added lumbar support can dig into your back and cause discomfort, thankfully, this is not the case with this model of chair. If you are looking for a camping chair which will keep your back healthy, you have few better options than this STRONGBACK low gravity chair. We hope that we have been able to help you find the best camping chair for your specific needs. As you can see, we reviewed quite a variety of camping chairs, so everyone who reads this guide can be satisfied in their way. If there are any questions, feel free to leave them down in the comments.